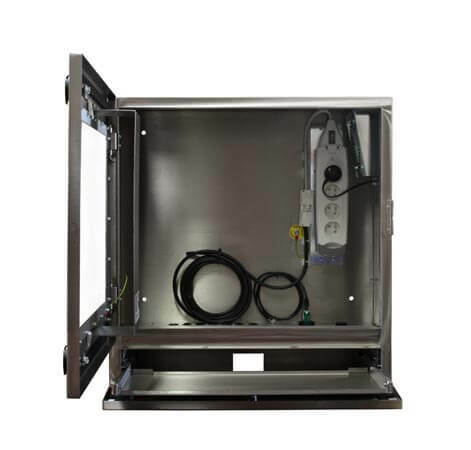 Waterproof Industrial Computer Enclosure | Stainless Steel PC Cabinet | Armagard Ltd.
IP65 widescreen, waterproof industrial computer enclosure for wet environments. Armagard’s Waterproof Industrial Computer Enclosure makes writing a breeze with its large 22" window and lockable sliding keyboard tray. 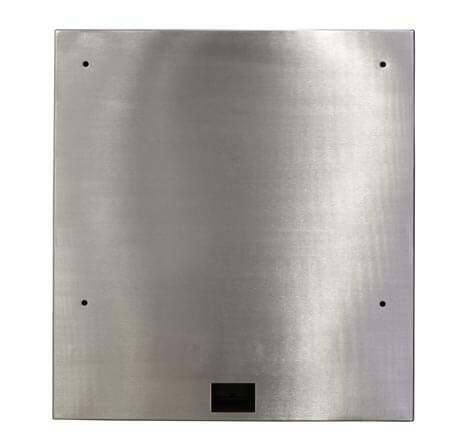 Easily integrated with your own thin client PC and TFT/LCD display, the Waterproof Industrial Computer Enclosure is designed from food grade (316) stainless steel and can be mounted on a wall or stand. 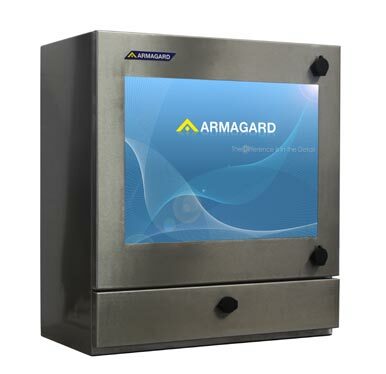 Sealed to IP65 to protect against dust, dirt, oil, physical impacts, and theft, Armagard’s Waterproof Industrial Computer Enclosures are not only great for security, but ideal for washdown areas and hygiene-sensitive factories that handle medical and food resources. 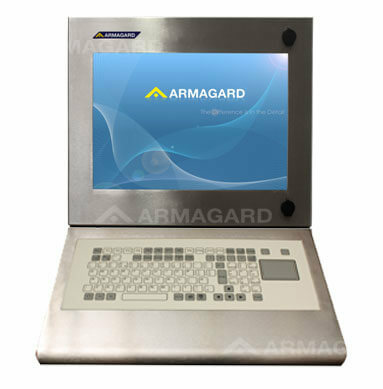 Armagard enclosures offer robust, all-in-one solutions for computer protection. Our enclosures safeguard your hardware, extending product lifespans in areas that would otherwise destroy electronic devices. Manufactured from food grade (316) stainless steel Low-maintenance with antibacterial properties, (316) stainless steel has a high resistance to corrosion and staining, making it ideal for humid factory conditions. Shatterproof polycarbonate window Durable screen protection reduces the risk of breakage and contamination to your production line. Waterproof to IP65 Enclosures can be jet or pressure washed without damaging interior equipment. Fits most thin client computers and TFT/LCD monitors (up to 22") Add the computer and screen of your choice instead of buying costly dedicated machines. Water-repellent seals Fitted as standard to the door, locks, and window to prevent damage to enclosed equipment during washdown. Surge-protected four way mains distribution Extends lifespan of enclosed equipment by protecting against power surges and electrical spikes. Multiple mounting options Can be mounted on a stable surface or stand/trolley for user ease and comfort. Internal fan(s) Maintain a uniform internal temperature, reducing strain on enclosed components and extending lifespan. 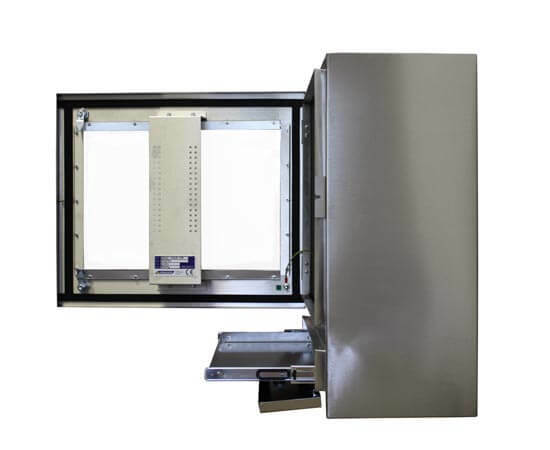 Heater & air-conditioning modules (optional) Allow the enclosure to withstand temperatures from 23°F to 104°F. Sliding keyboard tray Lockable tray for a waterproof keyboard and mouse. Stainless steel quarter turn locks Maintain a tight waterproof seal around the enclosure doors. For areas where vandalism and theft are a concern, we offer even more secure lock options.